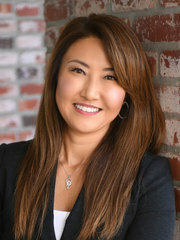 Ann graduated from the University of California, San Diego with a dual bachelor’s degree in Economics and Management Science and went on to pursue a career in sales. She first specialized in cosmetics, working at Nordstrom’s as a cosmetics buyer for 10 years, before escalating her career to become a Sales and Marketing Executive of Bobbi Brown Cosmetics. She then moved into the Jewelry industry, eventually becoming the Director and Vice President of Sales for several luxury brands such as David Yurman, John Hardy, and Scott Kay. Having acquired extensive knowledge about cosmetics, jewelry, and other luxury products, Ann ultimately became the owner of AK Luxury Group-Jewelry brand distribution. Ann now utilizes her unmatched experience in sales and marketing to provide local San Diegans the best service and options when it comes to buying and selling homes. Her vast experience in these fields portrays her confidence, strong relationships skills, and professionalism when assisting her clients. She understands the needs and wants of her clients and is always eager to help make important decisions and guide them in every step of the way. She is highly knowledgeable in the real estate market and always puts her clients first! She also speaks Korean.